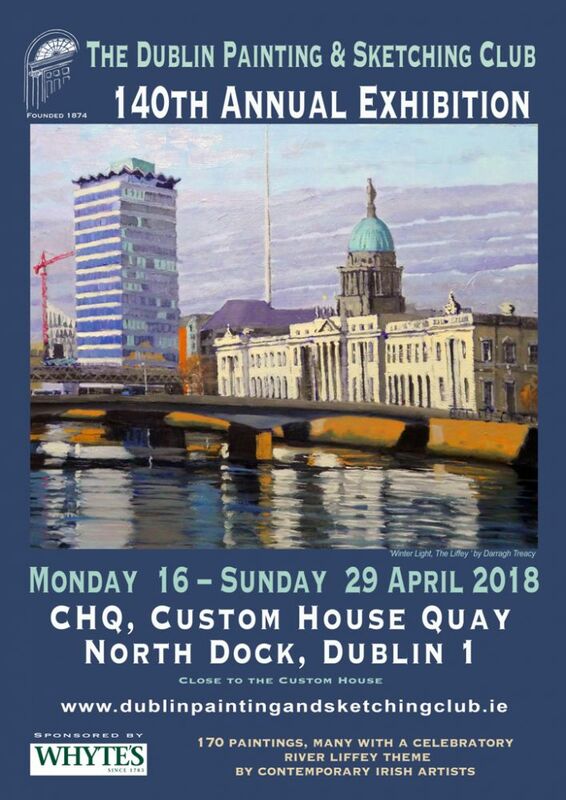 collectireland – Art for Art's Sake! Once again, the Texaco Children’s Art Competition produced any amount of quality paintings that one would be happy to give wall space to. At the older end of the spectrum there were some wonderful portraits while at the younger end many of the works would give the late Basil Blackshaw a run for his money. 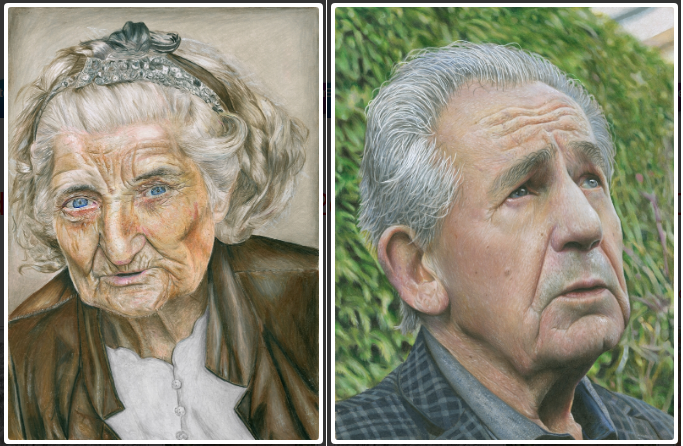 Above left to right: “Lifelines” a watercolour drawing by the overall winner, 16-year-old Naoise Hennessy from Coláiste Bhríde, Carnew, Co. Wicklow; and “10th February” which received a Special Merit Award for 18-year-old Daragh O’Brien from Carrigaline Community School, Carrigaline, Co. Cork. 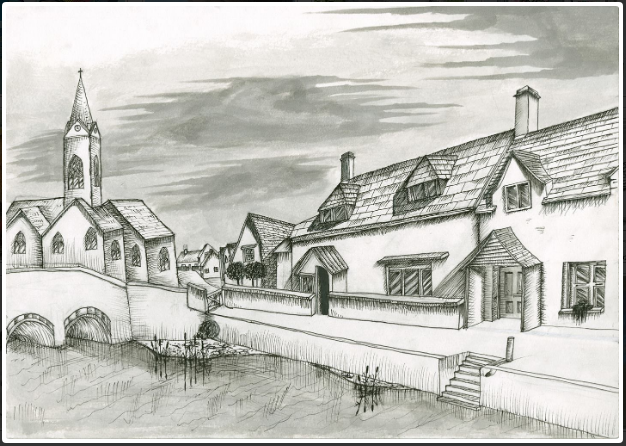 “Evening In The Village” by 12-year-old David McPartlin from Ardscoil Rís, North Circular Road, Limerick received a Special Merit Award. Overall the wonderful, natural talent bodes well for the future of Irish Art as long as those that go on to Art College are not contaminated by the exponents of the Abstract genre. My 2018 Christmas present to myself! Ever since I first encountered the wonderful work of transport artist David Briggs I have wanted to own one of his paintings but since the artist only works to commission there’s little chance of finding one in a gallery or auction. The only option was to get in line and commission a painting but of what – so many possibilities. My first love when it comes to Irish railways has always been the late lamented Tralee & Dingle Light Railway (1891 – 1953) in West Kerry. Built on the cheap the line had some very severe curves and atrocious gradients. From the outset, the railway was beset by problems caused by the poorly engineered permanent way and the first of several serious accidents occurred less than two years after the line opened. Surprisingly, despite being a major financial burden on the ratepayers of the areas which it served the railway continued to operate a full range of services until 1939 when passenger traffic ceased. 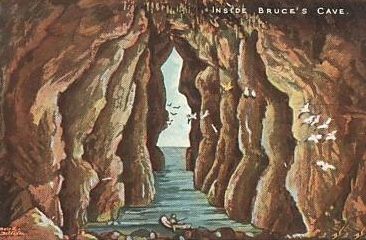 The line remained open for freight traffic – largely livestock – until 1947 at which time the service was reduced to one day a month when special trains were run in conjunction with the Dingle cattle fair. The track, rolling stock and locomotives were run into the ground in these last years and it speaks volumes for the train crews that operated the line that they were able to keep things going. 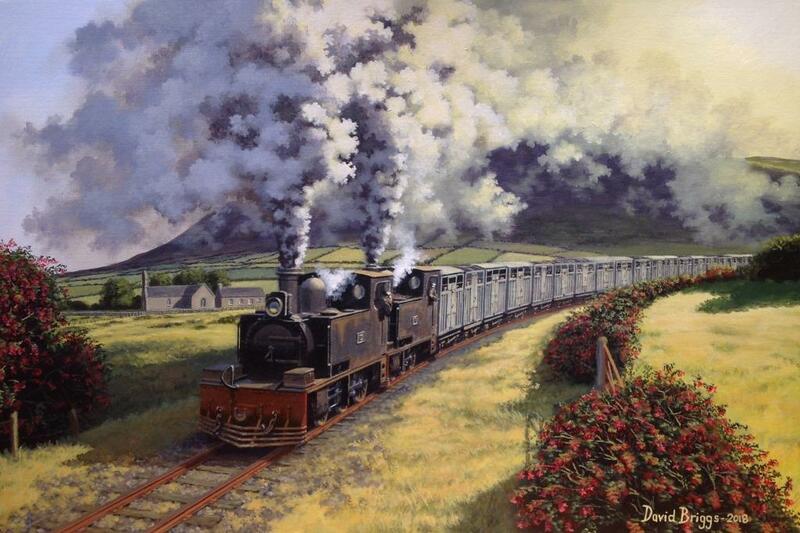 David Briggs’ painting captures the atmosphere perfectly as a train of empty cattle wagons heads towards Dingle just west of Camp Village. There’s great detail in this late 1930s view; the locomotives are working hard on the 1:30 gradient, the crew can be seen trying to shout to each other above the noise; St.Mary’s Chapel in the background, the fields and luxuriant fuschia hedges set the scene. “Last Days on the Tralee & Dingle” acrylic on board (20″ x 30″). I wasn’t born when the line closed but have visited the remains of the route many times but now I no longer have to trek to West Kerry to be reminded of this wonderful, mad bit of railway engineering. Not the first painting that I have commissioned but by far and away the most satisfying! I meant to post this up a while ago but as it was unsigned there was nowhere to put it. So, here it is now – enjoy. I never tire of views of Kingstown/Dun Laoghaire harbour and this is one of the most interesting that I’ve come across in ages – sadly out of my price bracket! 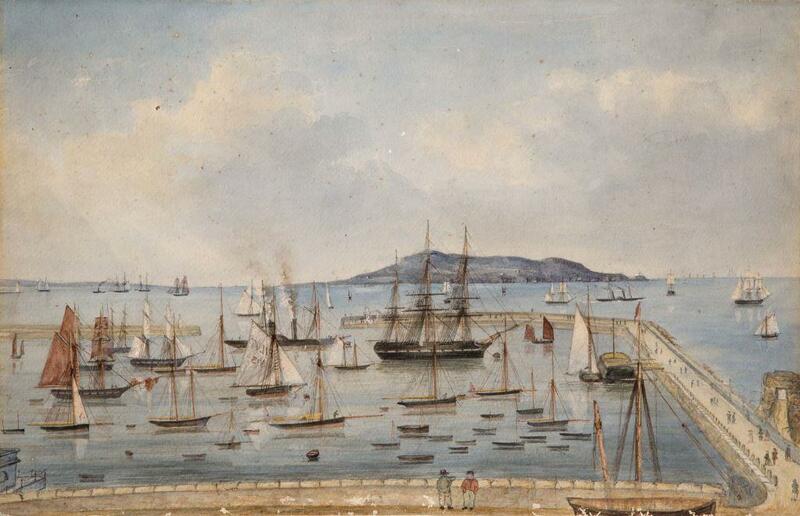 Described as Irish School circa 1830 – A convict ship and other shipping in Kingstown (now Dunlaoghaire) Harbour, Ireland. Inscribed on reverse with vessel names and other data Watercolour (11¾” x 18½”). Conservatively estimated at £500-800 it was eventually knocked down for £2,400 at Charles Miller Ltd., Fulham, London on the 7/11/2017. The night of the 29th December, 1940, saw one of the largest and most destructive German air raids on London during World War.II. More than 24,000 high explosive bombs and 100,000 incendiary bombs were dropped on the city. The destruction was enormous and by morning, the premises of the postcard publishers Raphael Tuck & Sons – Raphael House – was a burnt out shell along with much of the city. Records going back seventy-four years and 40,000 or more original pictures and photographs by the best of artists were in ashes. Ironically, the firm of Raphael Tuck & Sons had been founded by German émigrés and prior to the outbreak of World War.I. had contracted the bulk of their printing business to German firms. The first evidence that I’ve come across of a work that passed through the firm unscathed has recently come to light. 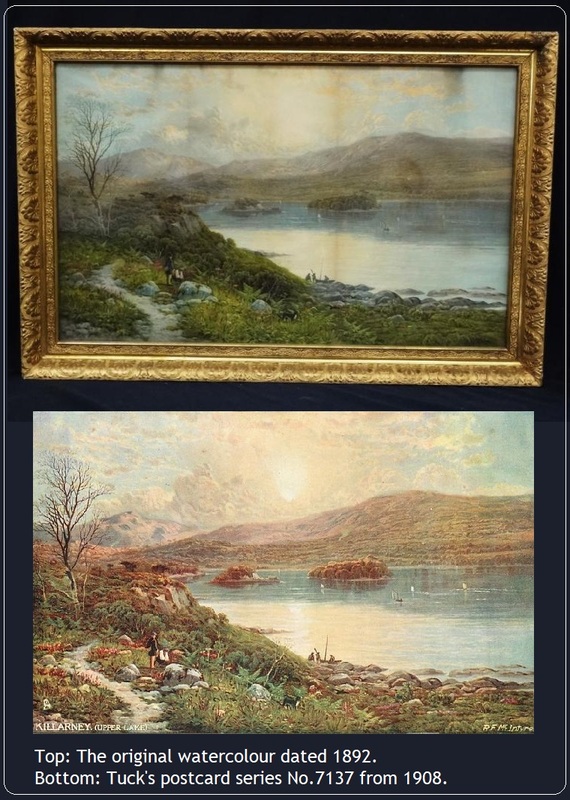 Robert Finlay McIntyre (1846-1906) a London artist supplied this 1892 view of “The Upper Lake, Killarney” to Tuck’s and the original turned up at auction at Fusco Auctions, Ohio on the 19/7/2017 where, despite its poor condition, it sold for $500. Obviously Tuck’s didn’t retain all the work of those that supplied them and hopefully where there’s one, there’s more! Sadly though, I don’t expect to see a flood of similar paintings from the likes of Walter Hayward Young “Jotter”, Edgar Longstaffe and Alfred de Breanski. A bright light in a week when I missed two paintings that I was after – one due to being beyond my budget and the other due to my not reading the terms and conditions of the auction – this gem arrived from Ulan Bator, Mongolia. By a street artist named Ganbaatar it was a ‘must have’ as soon as I saw it! I am ashamed to say what I paid for it through a dealer as the artist must have received a pittance for his work. 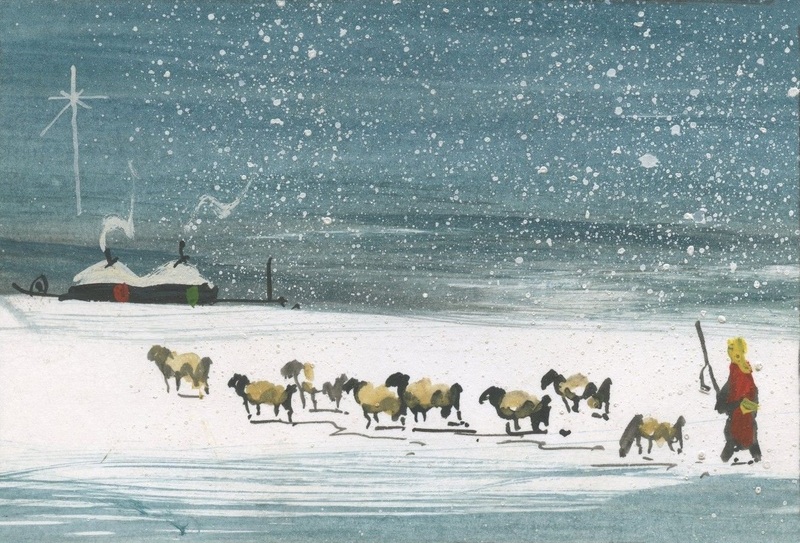 It will be one of my two personal Christmas cards this year for sure and I am in the process of tracking down the artist for a couple of commissions – watch this space. 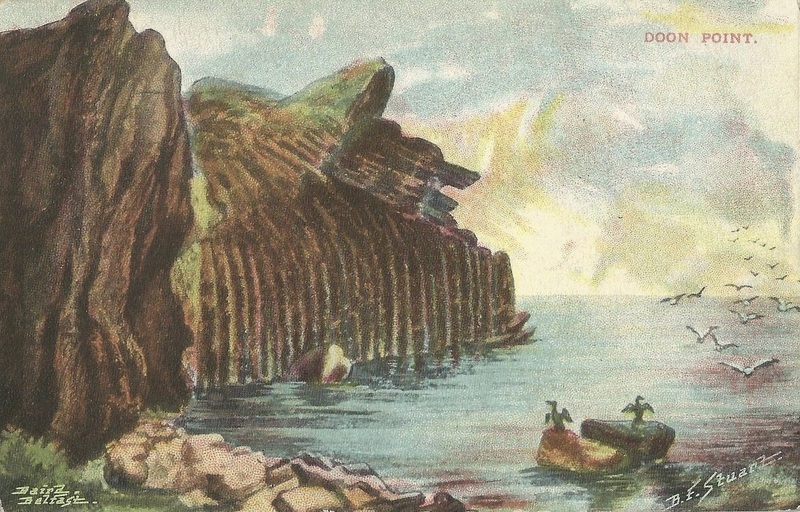 Came across some Rathlin Island postcards by this artist which were published by Baird & Co., Belfast circa 1905. I can’t find anything online – and I mean anything – and I wonder if anybody can point me in the right direction? Any information about the artist no matter how trivial would be welcomed. On the trail of elusive Eva Porter! 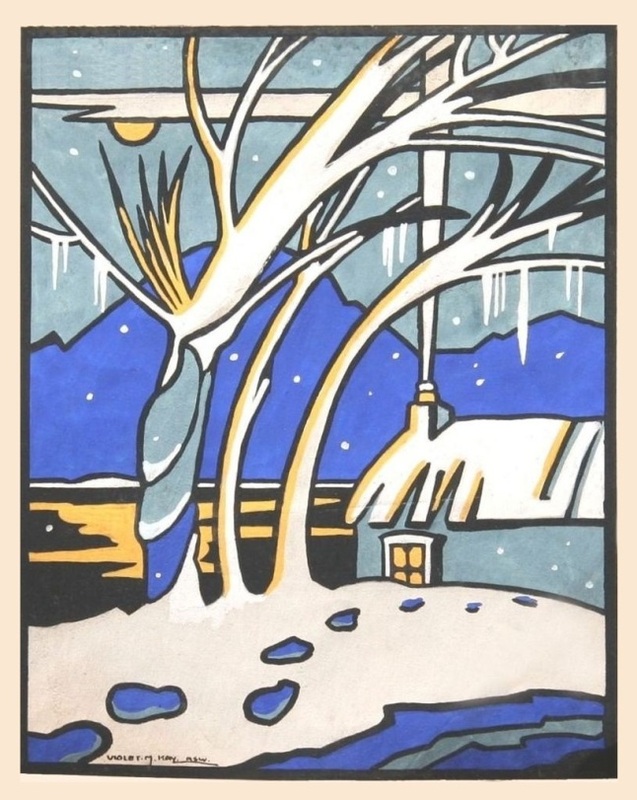 Eva Porter exhibited regularly with the Belfast Art Society/ RUA from an address on the King’s Road, Knock, in Belfast. 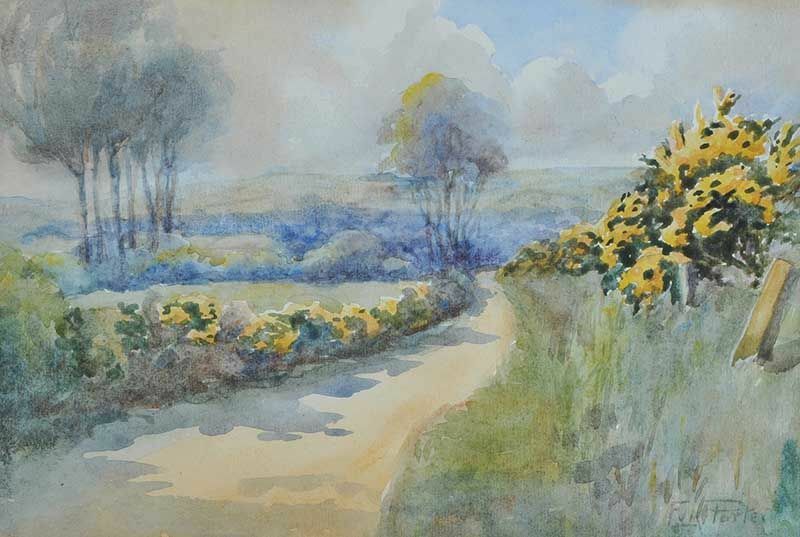 She was active from 1923 – 53 and worked mainly in watercolour, specialising in landscapes and garden scenes. 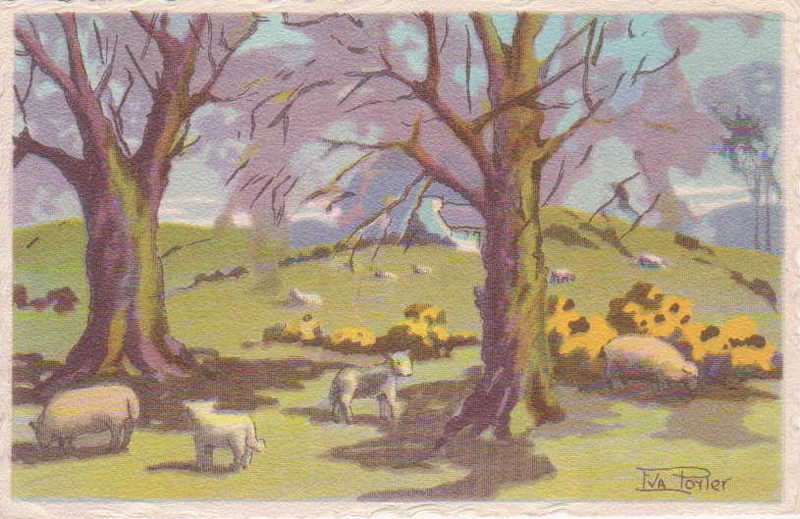 She also supplied Scholastic Productions Ltd., Belfast with artwork for their postcards published during the 1940/50s. 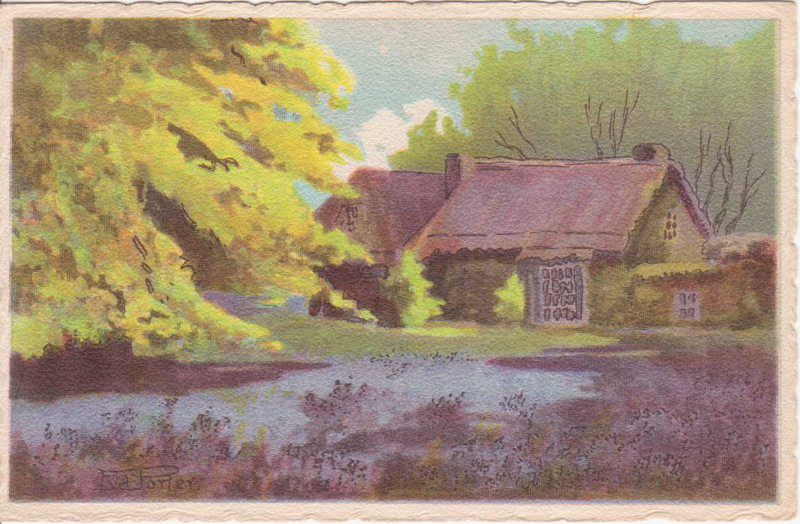 Three Scholastic postcards “Springtime“, “An Old World Cottage” and “Headlands”. That is the sum total of information that I have been able to dredge up on the artist after exhaustive searching online, contacting the various NI Arts bodies, Belfast Forums, the Linen Hall Library, and other obvious institutions. I have recently been in touch with the Knock Church of Ireland authorities in the hope that she may have been one of their parishioners and I’m awaiting further news. I love collecting the work of lesser known artists and researching them, but ending up drawing a complete blank is very frustrating. I wouldn’t mind if it was just Eva Porter, but there’s a growing list of artists that I just can’t track down. 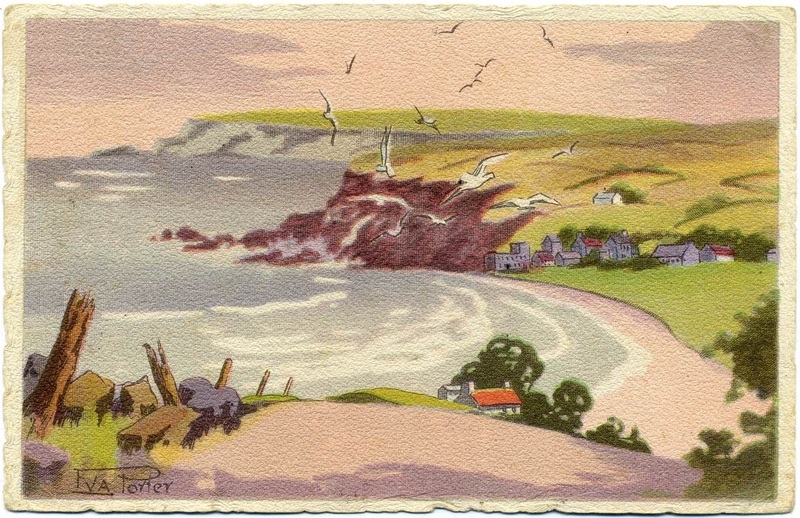 These include Terence Henry, Leslie Murdoch, Pat Mac Cormack and Robert Barlow – the one thing they all have in common is that they supplied their work to Scholastic Productions, but that company went out of business in the 1950s. “A Country Road” which I purchased at Ross’s – August 2016 for £31.00 incl.buyer’s premium. 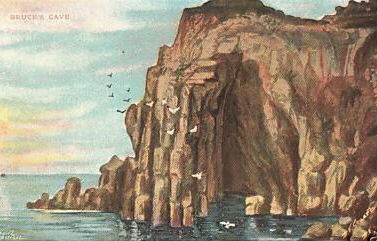 Thus far I have purchased a couple of her watercolours and several of the equally scarce postcards. A couple of weeks ago I thought that I had struck the mother lode when five of her paintings came up for sale at Rosebery’s (London), but it wasn’t to be. A lot of searching around and organising of a courier, contacting a UK dealer to make sure that they weren’t going to be bidding, contacting the auctioneers for additional photographs and I was all set. However, come the big day, and thirty minutes before the start of sale, I log into the Saleroom.com auction portal and sign-up for the auction only to find out that as a new client of Rosebery’s they would require bank/credit card details and more. I couldn’t comply with their requirements in time and lost the pictures to the only other bidder for just £140.00. It was the first time that I have encountered this problem when bidding through the Saleroom.com and it will certainly be the last time that I bother with Rosebery’s. 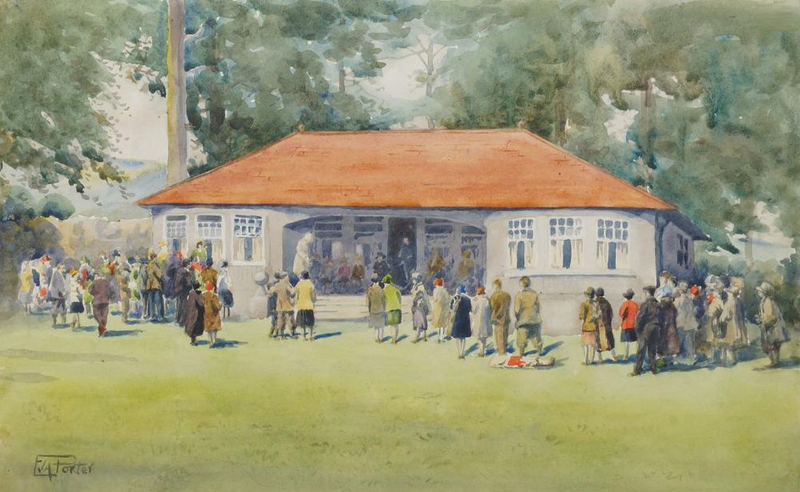 “Club Prize Day, Bangor, Co.Down” watercolour – sold with four others at Rosebery’s 1/10/2016 for £140.00! Years ago this would have put me in a bad mood for a week, but these days I’m more laid back and tell myself that it wasn’t meant to be. Annoying, but a First World problem in the greater scheme of things! So the search goes on and any help would be much appreciated. 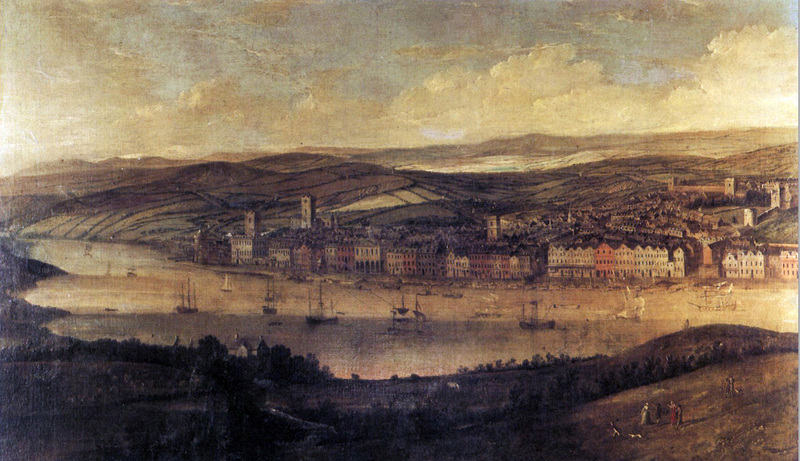 Two-hundred and eighty years on and Irish artist Blaise Smith ARHA is working on “A Painting for Waterford” – a dramatic 5 metre panorama of the city of Waterford commissioned by the OPW, to act as a companion piece to the Willem Van der Hagen Waterford cityscape. Painted from the same general location as the earlier work there should be a few changes! Both will be unveiled in Autumn 2016. Below – check-out how the artist is tackling this daunting commission.